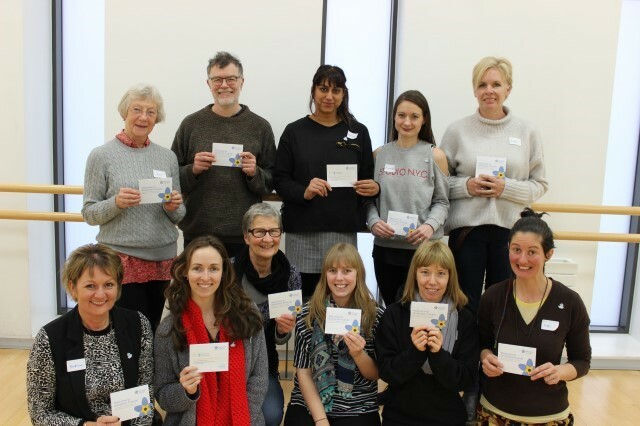 Would you like to get more involved with helping us deliver and promote our many dance activities and have some time to spare? Volunteering with us could be for you. We have many volunteering opportunities at the Jerwood DanceHouse and really value the support we receive through people giving up their time. You might find yourself volunteering as an usher on our performance nights (and you get to see the show for free! ), or helping us making decorations to display around the DanceHouse to welcome people to our family fun days. Our ushers help create a safe and friendly environment so that we can deliver a varied programme of exciting, innovative and educational works performed by both world-renowned companies and community groups. Ushers don’t just check tickets. They work as part of a wider Front of House team during performances and events, providing excellent customer service, acting as a point of contact for our audiences, and supporting health and safety procedures in an emergency. Ushering is a great way to learn new skills, meet new people and experience a diverse programme of performances from both up and coming and internationally established artists. As a thank you, volunteer ushers receive one complimentary ticket to a DanceEast performance of their choice (subject to availability) for every five events ushered. Tutor Assistants commit to one or more classes per week which take place throughout term time (terms run in line with local schools). Many tutor assistants stay with their chosen class term after term, building a great rapport with our tutors. To find out more and to volunteer please contact Jane Arkley-Crouch, Customer Services Manager at DanceEast on 01473 295230, via email jane.arkley-crouch@danceeast.co.uk or post Jerwood DanceHouse, Foundry Lane, Ipswich, Suffolk, IP4 1DW.